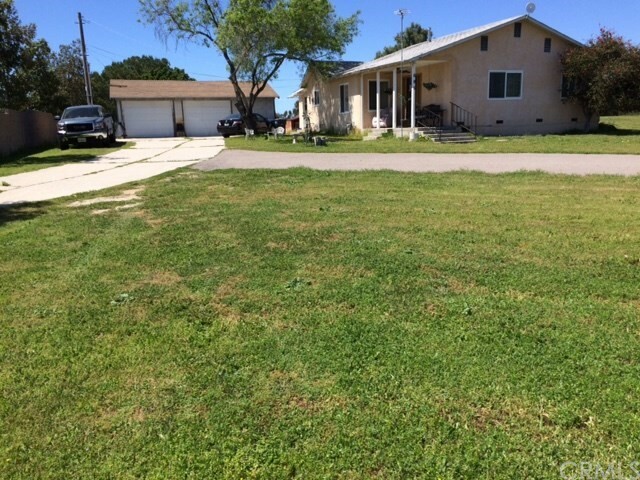 All San Marcos homes currently listed for sale in San Marcos as of 04/25/2019 are shown below. You can change the search criteria at any time by pressing the 'Change Search' button below. "Clean lines, expert craftsmanship and timeless upgrades will take your breath away the moment you cross the threshold of this beautiful Davidson-built home in the Estates. Sweeping views are yours to enjoy from the impeccably landscaped yard, featuring infinity pool, outdoor kitchen and built-in fire pit. The open floor plan, designer kitchen, hardwood flooring, custom fixtures, and free-standing tub in the master bathroom are just a few of the unique touches that will make you smile. Welcome Home! Neighborhoods: San Elijo Hills Equipment: Fire Sprinklers,Garage Door Opener,Pool/Spa/Equipment Other Fees: 0 Sewer: Sewer Connected Topography: ,,,RSLP,GSL"
"Seller will entertain offers at $1,495,000 to $1,695,000. Gated estate with panoramic ocean views! Set on 10+ acres with 800 Avocado trees. Gourmet kitchen with exposed beams, custom knotty alder cabinets, dual island and only the best in appliances! Dual Sub zeros, 48 inch Thermador range/oven/commercial hood, warming oven, prep sink, farmhouse sink, storage. Generous ground level Master Suite with sitting area, soaking tub, oversized shower, laundry closet. Large detached workshop for RV/Car Storage. Neighborhoods: San Marcos Complex Features: ,,, Equipment: Pool/Spa/Equipment, Shed(s) Other Fees: 0 Sewer: Septic Installed Topography: ,,RSLP,GSL"
"Newer Executive Dream Home in San Elijo Hills with OCEAN VIEW. Home features 2 master bedrooms -- one up and one master suite down! 60ft of retractable glass to take in surrounding natural beauty and maximize outdoor entertainment options --- covered loggia area, exterior kitchen, courtyard, fire features, and easy maintenance turf. Home oozes with pride of ownership and custom details. 10 foot ceilings inside. Amazing neighborhood w/ low HOA of $80 and mello roos only $56/mo! Walkable to Double Peak K-8! Neighborhoods: San Elijo Hills Equipment: Fire Sprinklers,Garage Door Opener Other Fees: 0 Sewer: Sewer Connected Topography: LL"
"French Country Estate Le Reve built by Belgium home designer Lily Bland, rests on the premier location above Lake San Marcos. Privately gated on one acre of land. Sweeping views of the lake, golf course and distant California hills. Grand Formal entry and foyer. Manicured garden and walking path. Delightful easy flow floor plan gives appreciation to the use of windows and light to absorb this natural setting. Separate guest room, rear facing high above the 3 car garage taking in more panoramic views. Neighborhoods: Lake San Marcos Equipment: Garage Door Opener Other Fees: 0 Sewer: Sewer Connected Topography: GSL"
"Perched on 1+ac land, this single story home w/views of vibrant sunsets, sparkling lights & rolling hills w/ trails. Home s natural light showcases its updated features (vaulted ceilings, open plan, barn doors, smooth plaster walls &eclectic d cor). Ext. is own playground w/ swim spa, fire pit, & dining area. Land s 2nd level is wide open canvas to design to heart's content (driving range; vineyards, living quarters). Part of iconic LKSM s lifestyle- waterfront hotel & 5 star restaurant & 2 golf courses. Neighborhoods: Lake San Marcos Equipment: Pool/Spa/Equipment, Range/Oven Other Fees: 0 Sewer: Sewer Connected Topography: ,"
".PANORAMIC VIEWs and guest house too. Beautifully crafted family estate in Coronado Hills. Located on 2.1acres, every amenity is accounted for including: owned solar no electric bill, gourmet kitchen, granite counter tops, French doors, back splash. All custom oak cabinets throughout home, chiseled travertine tile, acacia hardwood flooring, home office, spacious master suite w/ private, custom double door entry. Sweeping Oak Spiral staircase, tiled walkways, wrap around deck, fruit trees,gated entrance Neighborhoods: Coronado Hills Equipment: Dryer,Garage Door Opener,Pool/Spa/Equipment, Vacuum/Central, Washer Other Fees: 0 Sewer: Septic Installed Topography: GSL"
"1.289-1.349M Beautiful Spanish Estate located in a private community surrounded by million dollar homes w/sweeping panoramic views of the entire city! 4 bed/3.5 bath on just under 3 acres. Large deck & Spanish style courtyard with custom water features provides the perfect entertaining & relaxing space. Unwind outside in the courtyard & watch the sun go down over the private orchard filled with mature fruit trees. Continue entertaining inside the game room, complete w/ custom bar! See supplements... Neighborhoods: San Marcos Other Fees: 0 Sewer: Sewer Connected"
"Come and drink in the breathtaking views of the ocean, hills and city lights! This exquisite property is nestled on an exclusive cul de sac with only 18 homes and is one of the most desired in the community. This home features bamboo and engineered hardwood flooring plus a composite wood deck with ocean views providing many maintenance-free years. Keep money in your pocket with an OWNED SunPower 6.56 kW solar system. Neighborhoods: San Elijo Hills Equipment: Dryer,Fire Sprinklers, Washer Other Fees: 0 Sewer: Sewer Connected Topography: LL"
"First time on market! Meticulously maintained, spacious and bright executive home with solar. Open concept floor plan, vaulted ceilings and expansive gourmet kitchen with center island. Master retreat with fireplace, large soaking tub and huge walk-in closet. Private fenced backyard sanctuary with lush landscaping, gazebo, outdoor kitchen, fireplace and serene fountain, ideal for entertaining or quiet nights in. Just minutes from schools, shopping, entertainment, trails and community park. Neighborhoods: Rancho Dorado Equipment: Garage Door Opener, Vacuum/Central Other Fees: 0 Sewer: Sewer Connected Topography: GSL"